Last January I started categorizing my goals for the year. I had never tried this approach before, but it worked so well for me that I am running with it again this year. 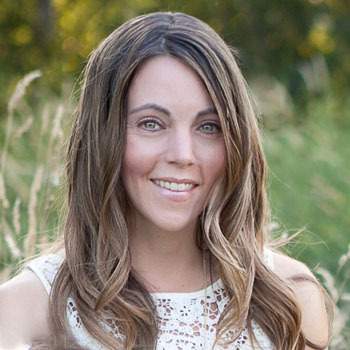 It is super simple, which is just what this busy mama needs! I basically choose areas of my life I’d like to make some adjustments to and decide on my plan of action. The older I get the more I find myself reflecting on things, and feel that setting goals for different areas helps me focus more on how I want to live my life. I may not accomplish these goals every day or every week, but by organizing my goals this way I am able to start creating new habits for the stuff that is important to me. For full transparency this post contains affiliate links, meaning, I may earn a small commission if you happen to click on a link and make a purchase (at no cost to you). It also allows me to see what things you are interested in and helps me create future relevant posts. These small commissions help support my blog (and my kids’ never ending snacking habits! ), so please know that I really appreciate you following along! This year I am continuing with my goal to get in at least 200 minutes of exercise per week. Being home with a three year old makes this a bit challenging some days, but I have found that if I make it one of my top priorities during the day, I am more likely to make it happen. I know that finding time to exercise can be tricky with family, work, and life obligations. 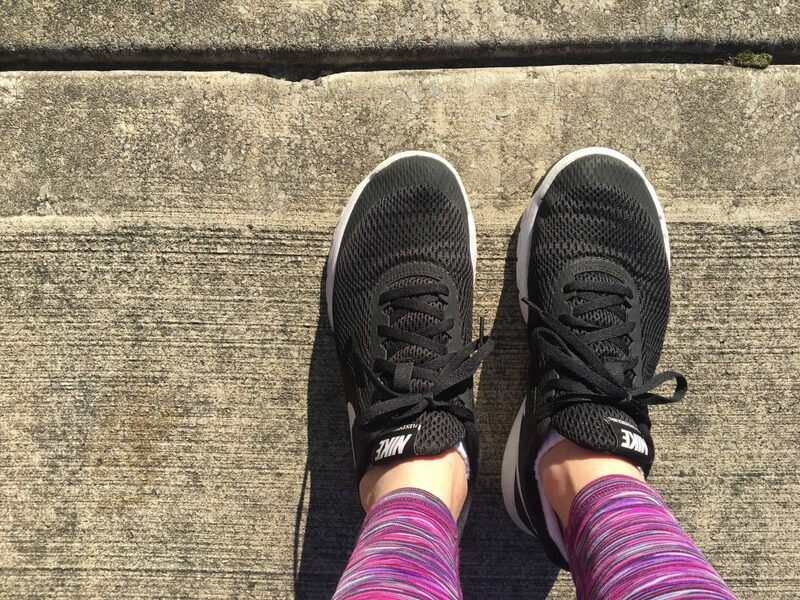 If you need some inspiration and ideas on how to squeeze in a workout during the day, take a look at my Exercise Tips for Busy Moms (although these can really apply to just about anyone!). I’m also excited to start playing tennis again! I played in high school and for a year on my college team, but have hardly picked up a racquet since. I have been wanting to start up again, but have struggled to find the time to make it happen. For my birthday last week my husband got me a few private tennis lessons at our health club, so I am literally ready to get back into the swing of things! I say find an activity that you enjoy doing and go for it! More sleep. This one was so easy for me to figure out. I am a night owl and despite my best efforts, always stay up too late. Mornings are pretty rough for me. I’ve struggled with this for a long time and am still trying to figure out the best way to tackle this one. Typically I go to bed around 11pm, sometimes even later, and wake up during the week at 6am or sometimes earlier. I feel my best when I get about 8-9 hours of sleep, so you can see why this pattern isn’t working for me. Part of my night owl tendencies are due to the fact that I savor the quiet night hours when everyone else in the house is asleep. Quiet is not something you can find during normal parenting hours with three kids! Do you ever get into a food rut? Tired of the same old breakfasts, same snacks, and same dinners? Really feeling like that is where I am at right now. I’m pretty good at planning our meals, but my goal for this year is to throw in at least one new meal per week to inspire my family to try new things! 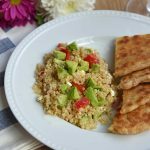 If you are interested in meal planning and would like some help getting started, my Meal Planning 101 post should help get you on the right track. 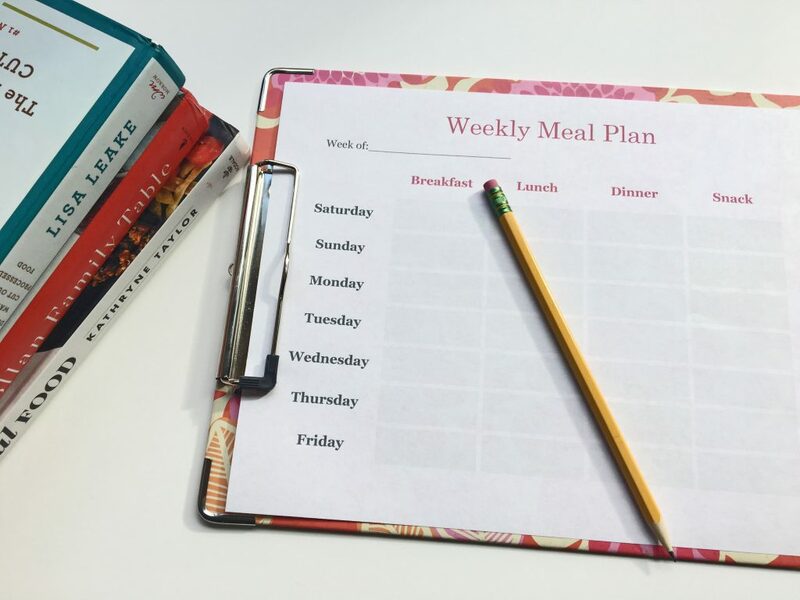 Is packed with tips on how to get started, including a free meal planning template. It feels so good to have a plan for meals going into each week! As a mom of three I can always use more of this! Reading used to be one of my favorite relaxing activities. Add a third kid into the mix and my reading screeched to a sudden halt. Well, at least reading anything besides Llama Llama, Fancy Nancy, or one of the other zillion picture books that graces our shelves. My plan this year is to change that! Last week I sat down and made a list of all of the books I want to read this year. 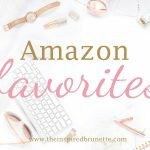 Some I pulled off my “want to read” list on Goodreads and others I found by searching for book lists online. I am hoping to read at least two books per month, in addition to all of the picture books I read to my three year old. Preferably before my bedtime – hoping this practice will help me wind down at night and get to bed on time if I make it a habit. 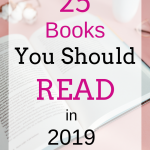 I will post my 2019 books picks soon, so stay tuned! My oldest daughter has spent some time volunteering this fall and has really enjoyed it. Volunteering and donating more of my time to others is something that I have wanted to do more of for the past few years. I can already see the impact it has made on my daughter, and I really want to continue this path as a family. I would love for my family to participate in at least 3-4 volunteer activities in 2019. I’m happy to report that my 2018 goal of making more time for date nights was a success! Planning on continuing that into 2019 with at least monthly date nights. I know some people are able to sneak in weekly date nights, but with three active kiddos and one being a threenager, we are just not there yet. Right now I’ll take what we can get! Hoping to make one or two of our dates overnight getaways. 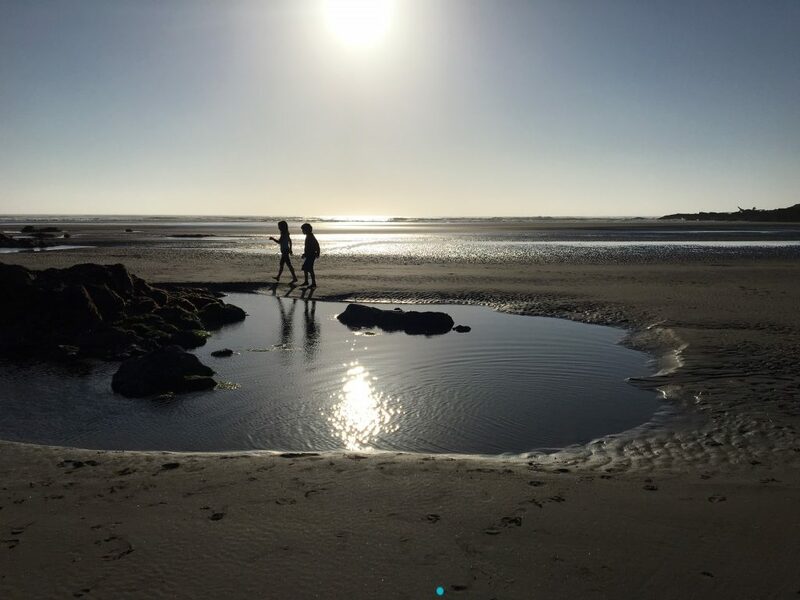 We managed to sneak away once last November and it was a great little break! As my oldest is now less than six months away from being a teenager, I am well aware of the limited amount of time we have with her living here at home. With all three of my children I am really trying to focus on being intentional about the time I spend with them. Sometimes I feel like even though we are all in the house together, we aren’t really with each other. I might be working in one room while my kids are reading, playing video games, drawing, etc. in another room. Then they are off to school/dance/sports/hang out time with friends, etc. and I feel like I didn’t really spend time with them at all. Anyone else ever feel the same way? Making time to connect with them individually or all together is my number one priority. Even if some days it is just a quick 10 minutes to snuggle and read, or to take time to really listen about how their day went. Traveling with my family, whether it be a day trip or longer vacation, is one of my favorite things to do. We have no distractions and nothing we have to get done when we travel. It is all about spending time together and making memories. While I am still trying to finalize our travel agenda for the year, it involves a mix of returning to some of our favorite places, as well as exploring some new ones. One of our stops includes passports, so I am working on obtaining those for all of us. Excited that having those little documents will open up a whole new world of travel possibilities for us! 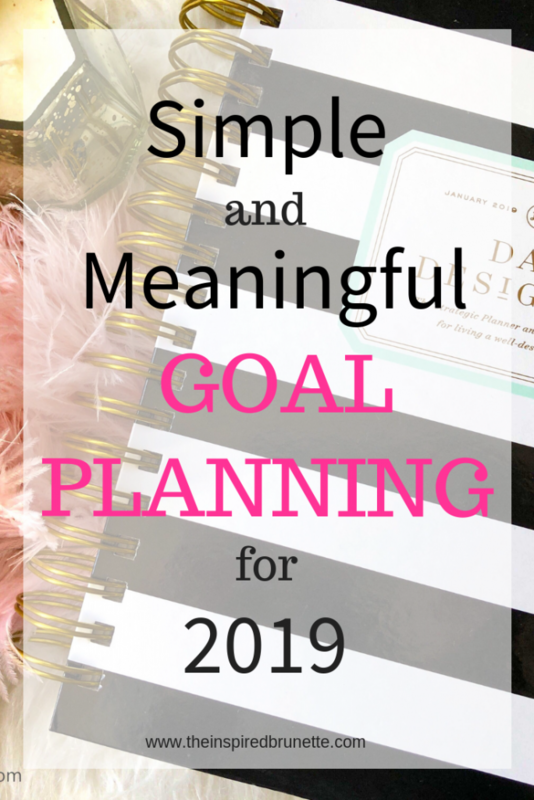 Do you make goals for the new year? What is your process? I always find that writing down my goals and displaying them in a spot where I can look at them often really helps me stick with them! Thank you Jenna! I do love sitting down in January and figuring out my goals for the year. I’m finding that it really does help me stay focused. Good luck with yours! I plan to do a post like this soon! I’m aware of the goals I want to work toward this year, but I still need to sit down and write it all out and break things down into smaller steps (for some of them at least). 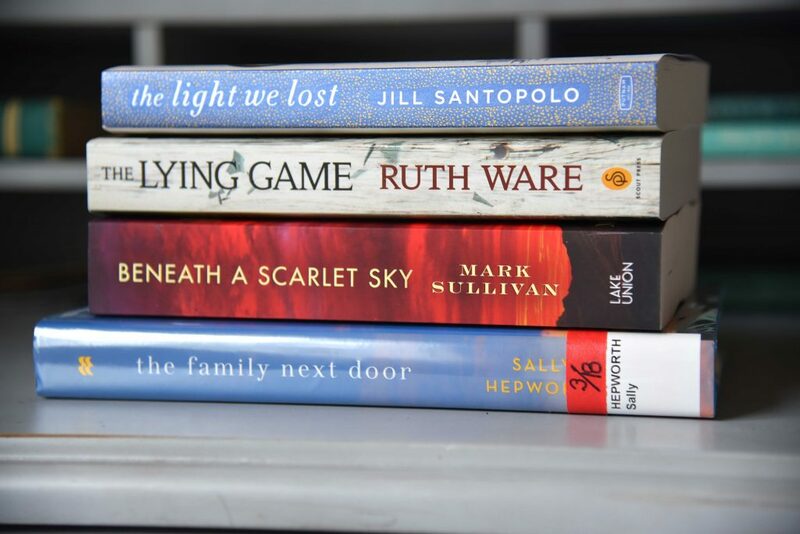 I hope you can find more reading time this year. Reading is definitely a calming thing for me. Llama Llama is a sweet series, but I would like my little one to mix things up sometimes! 😉 I’m hoping to get my 2019 book list out by next week, so stay tuned! I always love getting book recommendations from others. Good luck with your goal planning! A lot of these are included on my own personal goals. I really like how you have marriage and parenting on your goal, because these are things we should want to better every year. Thanks Kayla! I added parenting and marriage because sometimes I feel like even though we are living in the same house, I am not always focusing on the things I really need to be focusing on. I am also trying to read more books! Already on my second so I’m off to a good start! Great encouragement here! Nice! I am almost done with my first book, so hopefully I can get in at least two this month! I love reading your goals. And, it’s so important to include parenting and marriage. I love that your broke your fitness down into minutes as opposed to X number of days or X number of days for so much time. I feel like that’s might be a better way for me to approach my fitness goals. Thanks so much for sharing! I am ALL OVER THIS! I gave up the traditional New Years Resolutions and gave myself one general goal for 2019: TAKE CARE OF MAMA (that’s me!). I have let my health slide and after a couple of health scares last year and even needing surgery, I HAVE to take better care of myself. I have given myself two-week incremental goals and a lot of leniency if I need it. Love your goal planning. Good luck with your goals! Thank you for this post! I am inspired to write down that list of books and stick to a plan of daily reading! LOVE LOVE LOVE all of these goals! I feel like they all work together really well too! Like if you are achieving your health and fitness, you will find more energy for your family, self, and more! Thank you Tiffanie! I agree that they flow pretty well together! What wonderful goals!! I have to say that I’m a little behind in the New Year planning department, you have given me some great ideas to think about!! Always happy when I can inspire someone! Good luck with your goals Tiffani! These are all great categories to start building meaningful goals around! I try to start with baby steps and then add on from there! Good luck Addy! Never too late to write them down! This is what I need to do! I have bought a planner every year, but some how I end up not using it after a few months into the year. 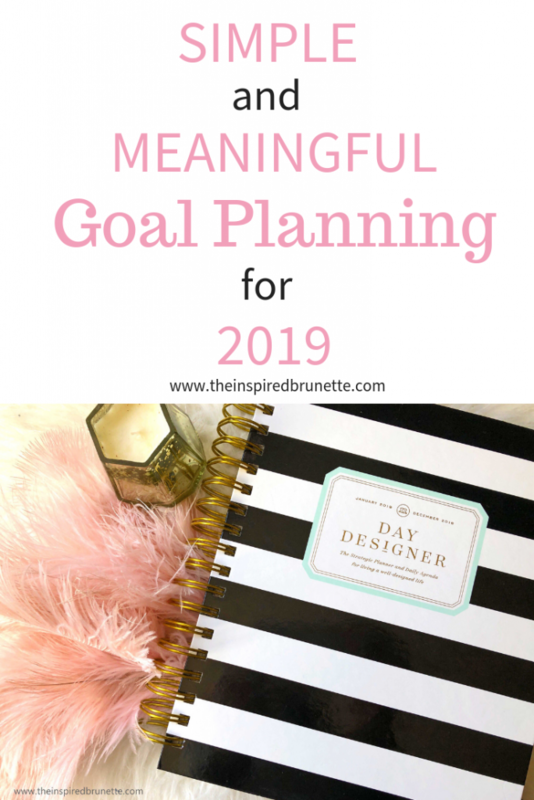 This year, I am motivated to use it A LOT, especially with these goal planning tips you provided! Thank you! Pinned it for motivation later! 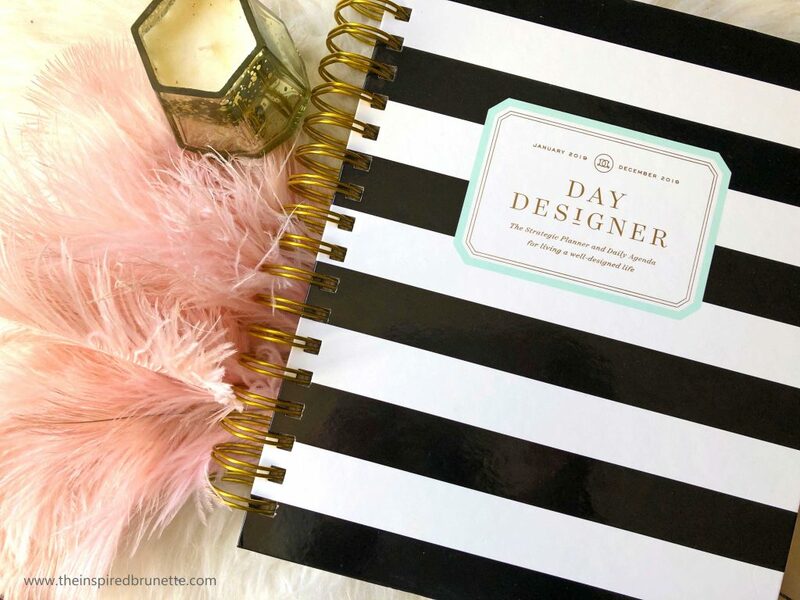 I try to sit down each night and plan out the next day, but there are definitely blank days in my planner too! It’s so great seeing other people’s goals. 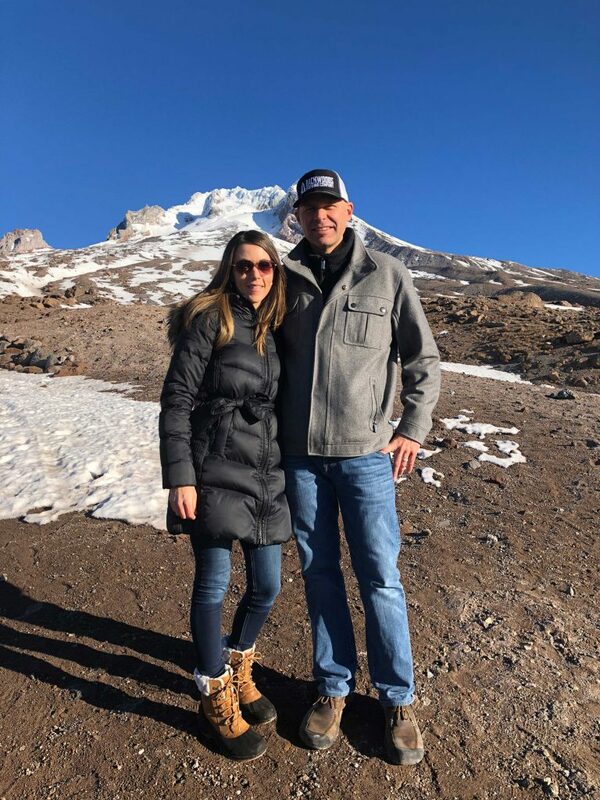 I have a few goals similar to yours – my kids are growing so fast and I know cherishing these moments where they still love spending time with me are worth their weight in gold! And I totally relate to having zero time to read when you add a third kid in the mix!